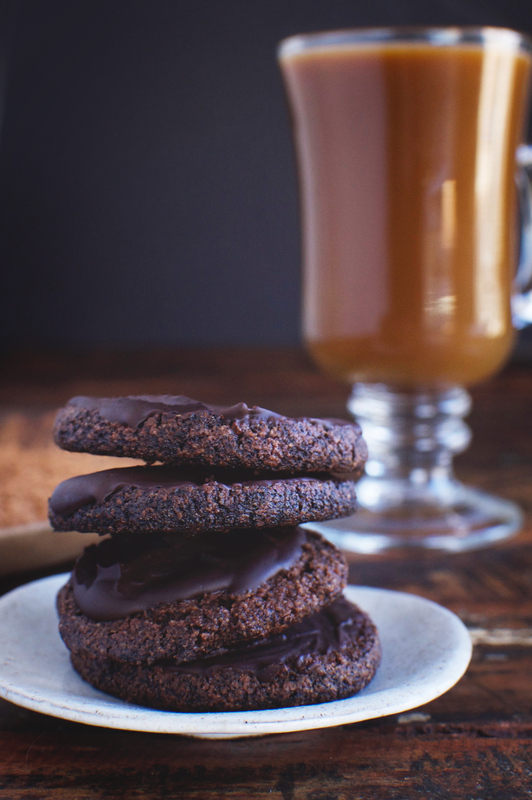 Our Low-Carb Thin Mint Cookies are a sugar-free and grain free version of the Girl Scout cookie we all love! These cookies are perfect for those on low-carb, lc/hf, Atkins, keto, grain-free, gluten-free, diabetic, and Banting diets. They’re here! Girls are out in full force selling boxes full of a substance more addictive than cocaine–Girl Scout cookies! From January through March, those of us on low-carb diets will need to be vigilant. When I was little, I sold the cookies from door to door. 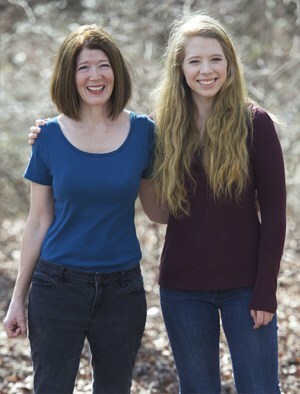 My biggest purchaser was my mom. Thanks, Mom! These days, the cookie dealers have advanced their methods. There are lists at work, links on their Facebook feeds, and stake outs to catch you as you walk into the grocery store. It’s truly difficult to avoid them! Yet, it’s hard to turn them down. After all, Girl Scout cookies are as American as apple pie. (By the way, I also have a low-carb alternative to apple pie). Buying the cookies supports girl power! Bigger still, it takes guts to walk up to a door, ring the doorbell and ask someone to buy something. I don’t think I could say no to a kid who did that. So, I don’t say, “no”, but I don’t buy the cookies either. I just give them a donation and let them move on to sell their cookies to the rest of the Girl Scout cookie addicted American public. 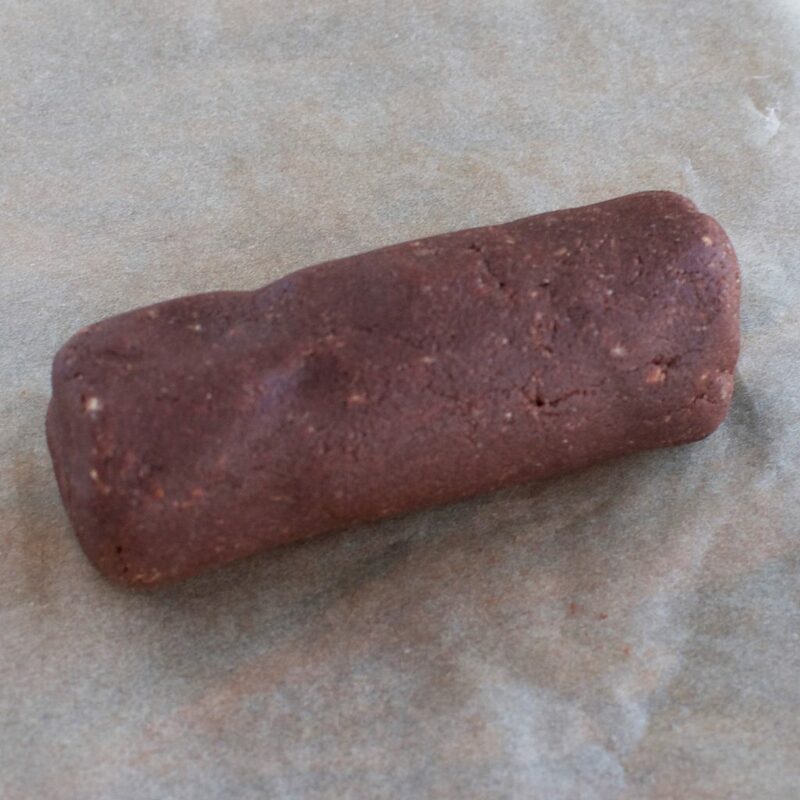 For those of us who still have that old addiction to Thin Mints, I offer you a low-carb alternative. 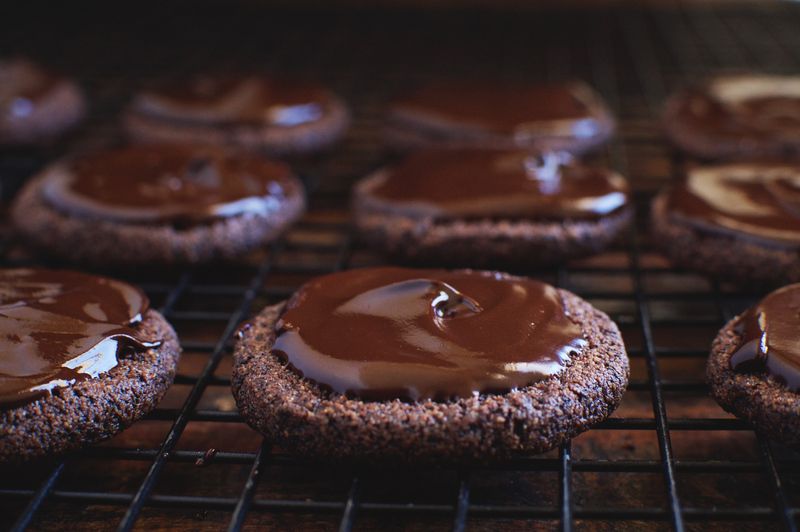 These cookies are super easy to make and taste like the real thing–maybe even better! They have a crispy, buttery chocolate-mint cookie drenched in a rich chocolate coating with a hint of mint. While the recipe for these cookies was inspired by Girl Scout cookies, it is based off of my recipe for low-carb sugar cookies. 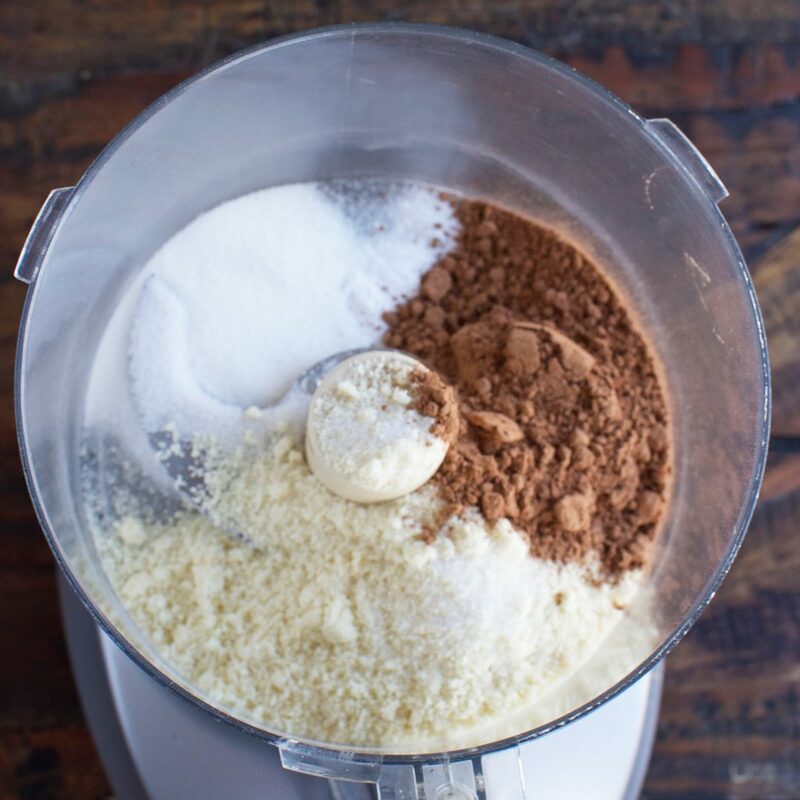 The batter for these cookies comes together with a touch of a button on the food processor. So easy! 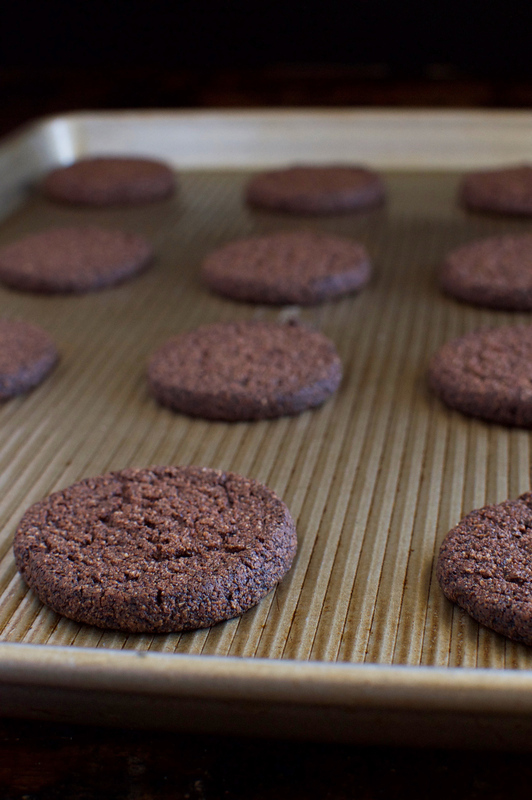 You don’t need to wait for a cookie peddler to come to your door to have our Low-Carb Thin Mint Cookies. 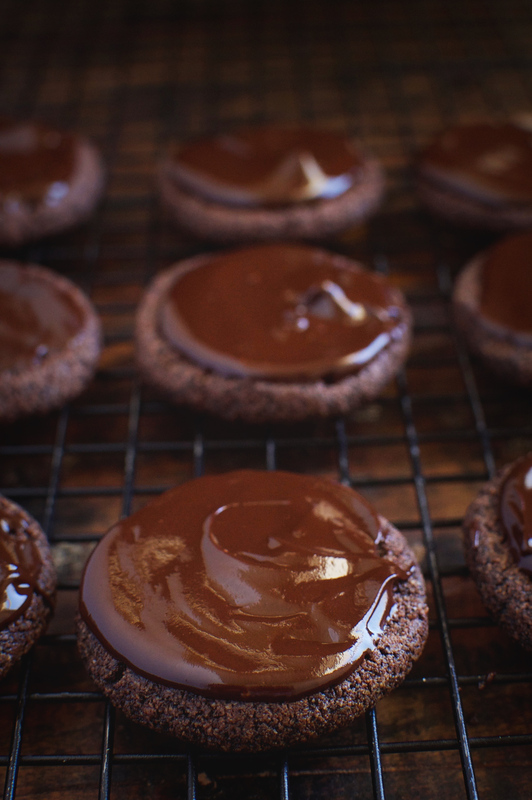 Make them whenever that chocolate mint craving comes over you! Enjoy! These Low-Carb Thin Mint Cookies are a sugar-free and grain free version of the Girl Scout cookie we all love! 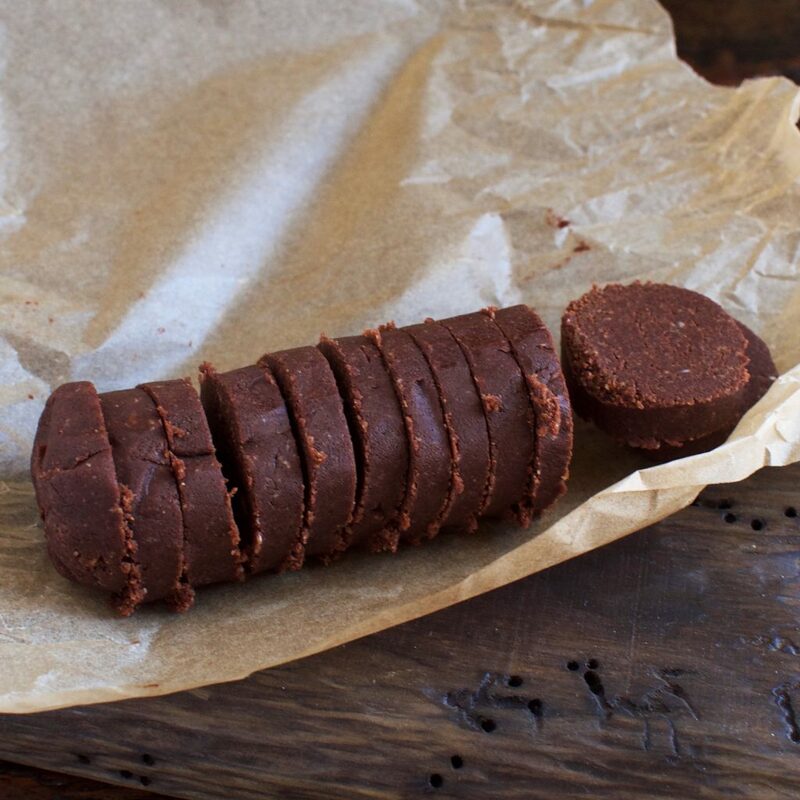 These cookies are perfect for those on low-carb, lc/hf, Atkins, keto, grain-free, gluten-free, diabetic, and Banting diets. 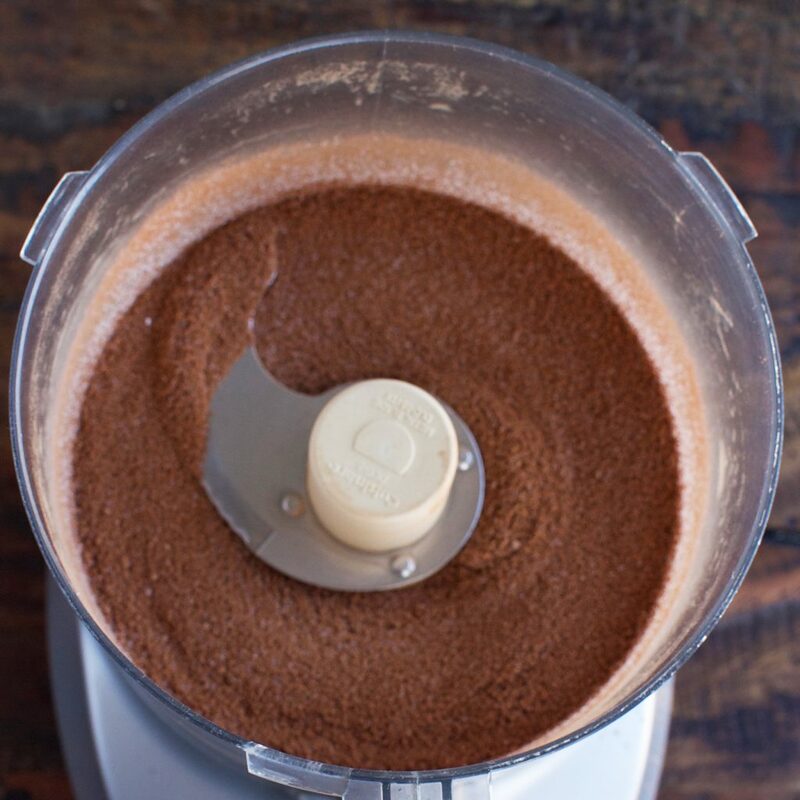 Add almond flour, granulated sweetener, cocoa powder, baking soda, and salt to a food processor. 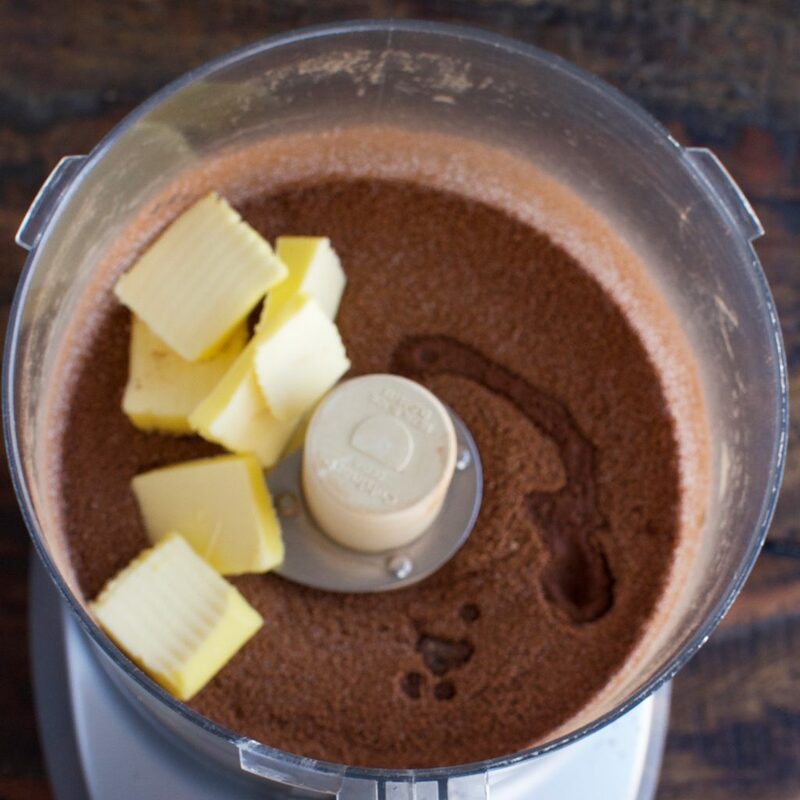 Press pulse a few times to mix. Place the ball of dough on a piece of parchment. Shape into a cylinder about 5 inches long by about 1 1/2" in diameter. 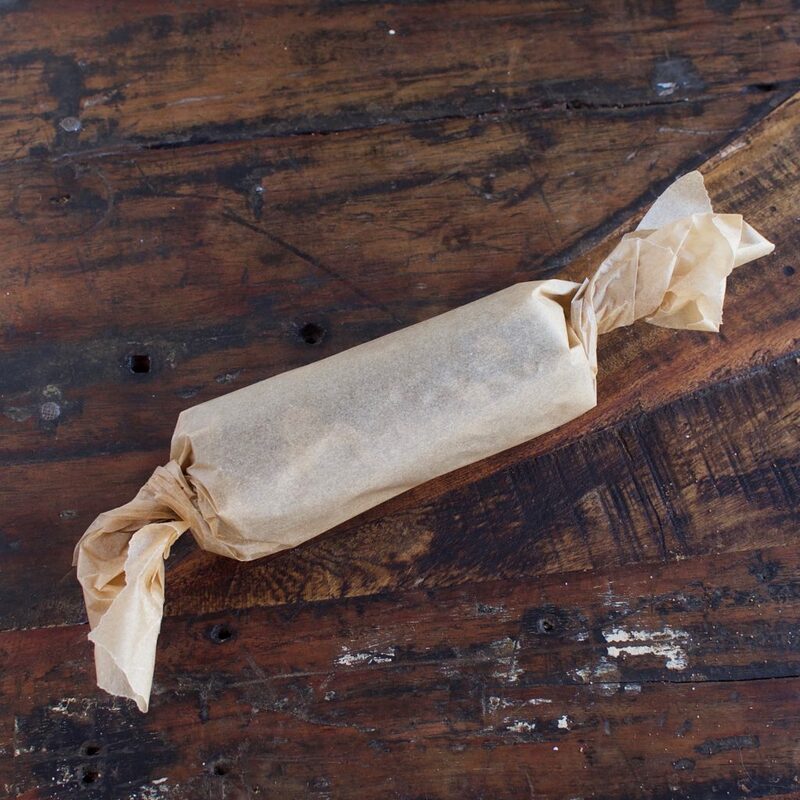 Wrap this cylinder up with the parchment paper and refrigerate until stiff--about 2 hours. Preheat oven to 375º F. Prepare a cookie sheet by spraying it with a nonstick oil or lining it with parchment. Slice the cylinder of dough into 12 equal rounds using a sharp or serrated knife. Arrange them on a cookie sheet with about two inches between them. Bake in the preheated oven for about 10 minutes or when edges are slightly brown. The centers will not be set at this time. 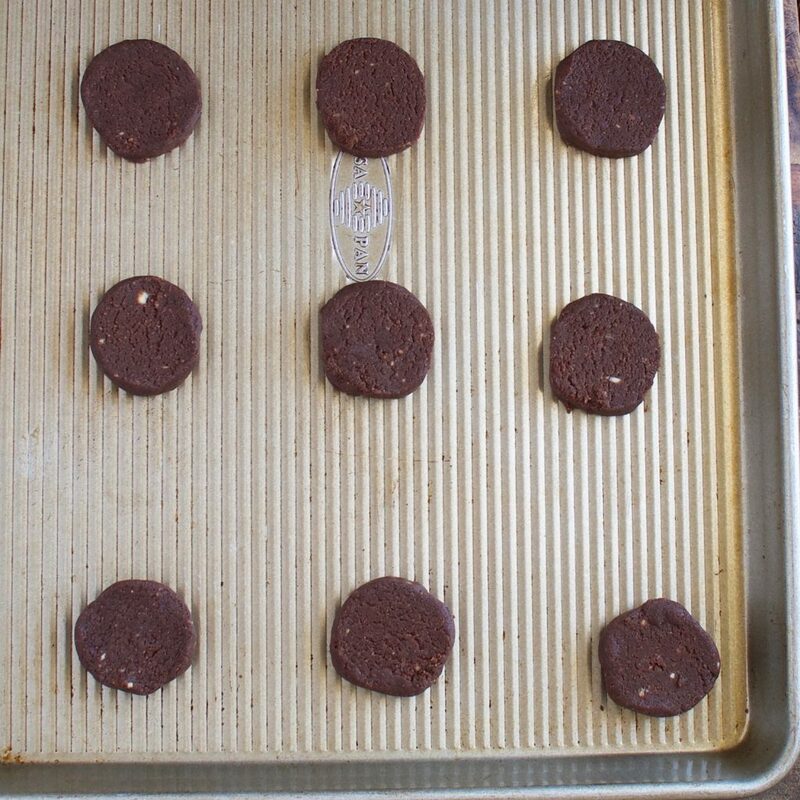 Allow cookies to cool on the sheet at least 10 minutes before transferring them to a cooling rack. 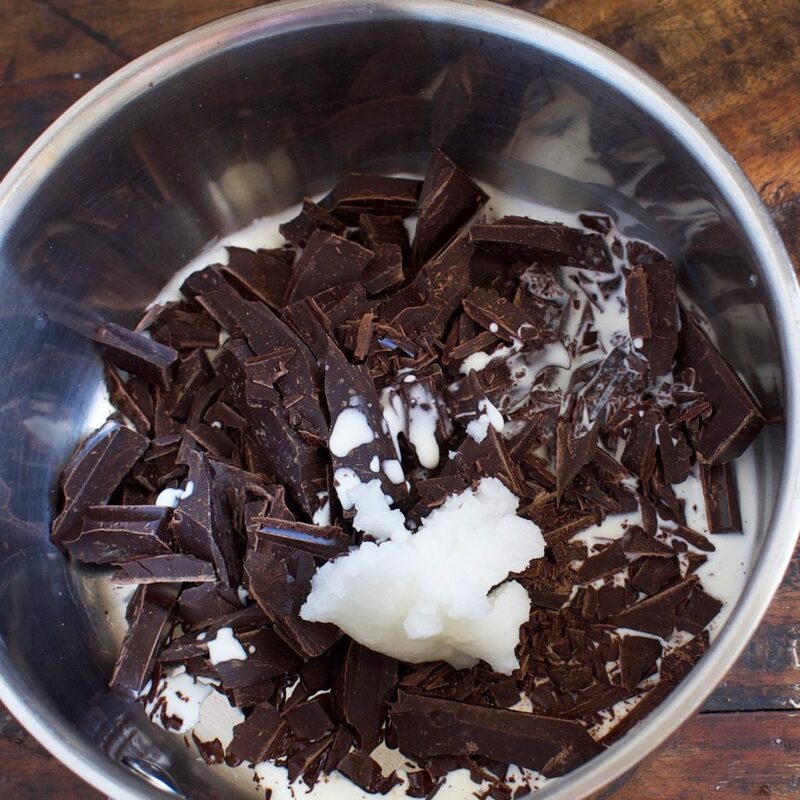 Meanwhile, add chocolate, heavy whipping cream and coconut oil to a small saucepan. Heat gently over very low heat, stirring constantly. 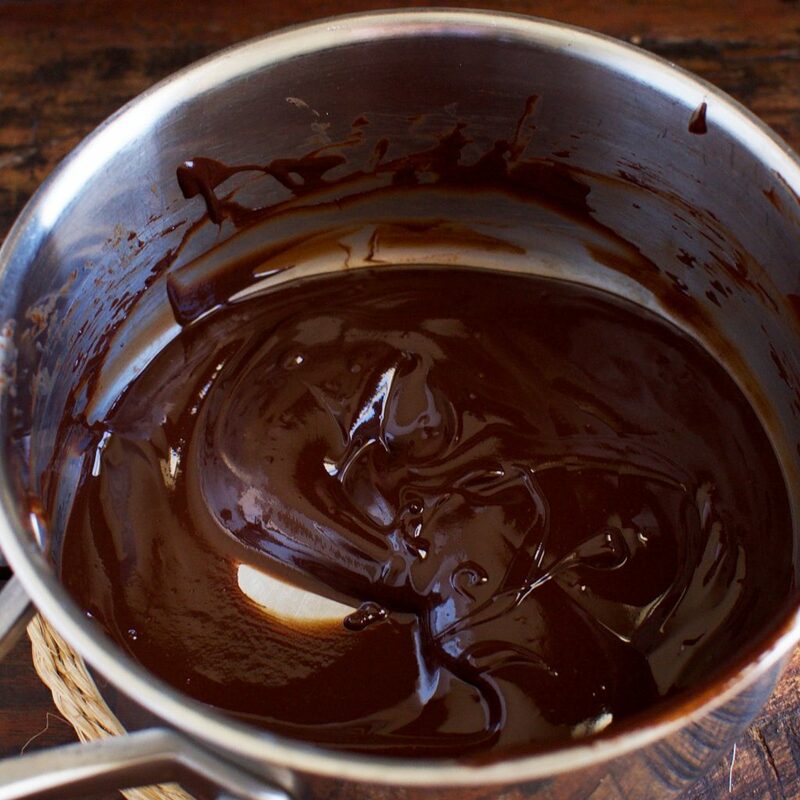 When chocolate has melted, remove from heat. 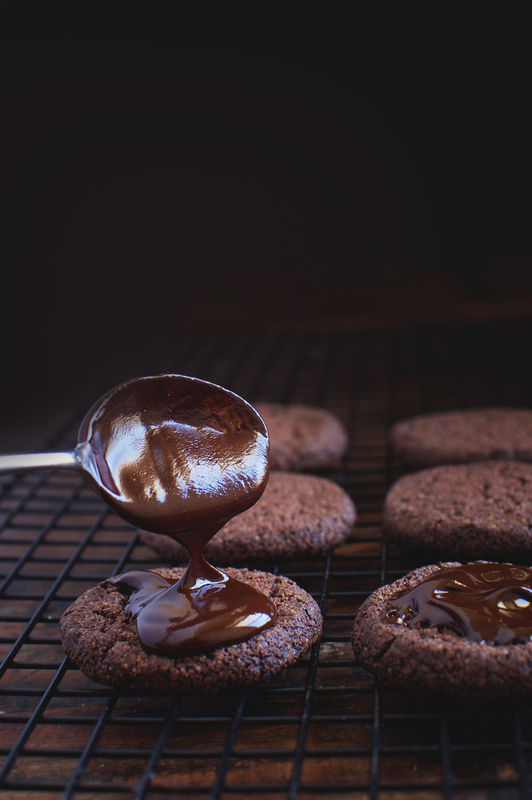 Spoon melted chocolate over the cookies, dividing it equally among the cookies. Refrigerate cookies, uncovered until the chocolate coating is hard. Transfer to an airtight container and store in the refrigerator. This looks delicious, like all of your recipes do! I just wanted to say that I really enjoy your website and it is obvious that you take pride in what you create and share. I love your step by step pictures. Thanks! Thanks! I don’t do them for every recipe, but I’m trying to do them more and more. I think makes it easier for people to make the recipe. I baked these yesterday after letting the dough sit overnight and i thought they turned out great! I love the texture & flavor of them, almost identical to a “thin mint” cookie. I followed the recipe exactly for the cookie, except i got 16 cookies out of mine and the 10 min bake time was just right. For the chocolate on top i used 86% dark and added some erythritol/stevia sweetener to taste and i had to add another 1-2 T of cream to get it the right consistency (probably b/c of how dark the chocolate was). But it still hardened up nicely in the fridge. Thanks for the wonderful recipe!! Thanks for the review! I’m so glad you enjoyed them! I baked these last night and, because I was so impatient, didn’t let the dough set before I baked them. They still turned out delicious! This recipe is incredible, and we know exactly what we’ll be making for holiday parties and presents this year. 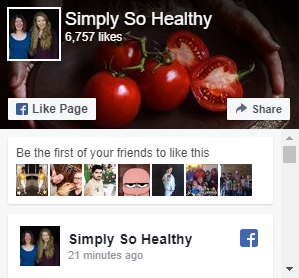 Thanks, Simply So Healthy! Thanks so much, Sarah! Loved the photos on Facebook!